Hi, thank you, friends and viewers. 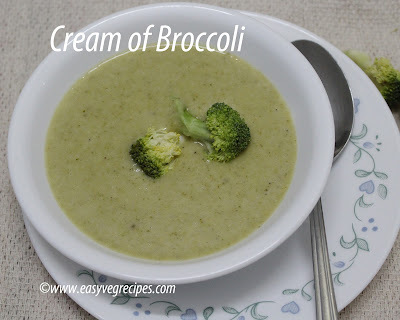 Today I will post how to make Cream of Broccoli soup recipe. In 2017, last day of the year I have tasted this soup in Taj Deccan, Hyderabad. That day it was chilly outside and we have done a lot of shopping. We both, me and Saye, were very much hungry, so we thought this would be the best place to sit and enjoy our dinner peacefully. Because it was 30th Dec lot of year-end parties were going on, "sound" party mood everywhere around. I want some quiet place to enjoy my dinner, So Saye took me there. It was a nice and decent place to sit and chat. The service is also nice, not only they take our order, they also guide us through the menu card. The steward suggested us on the quantity of food should we order so there won't be any wastage. Liked it very much. I asked him to serve me something soothing and warm and also should not heavy on my tummy. So he offered this Broccoli soup, which was really soothing, warm and of course enough to control my hunger till we order the main course. I tried it at home also, it is very easy to make. Check out for Carrot soup, Tomato soup and Roasted Red Pepper and Pumpkin soup here. Separate broccoli or cut it into florets and wash them thoroughly. It is always good to wash it in warm water. Heat butter in a pressure cooker, add chopped garlic. Saute them for a minute. Add all purpose flour and saute it too till the raw smell goes off. Add a cup of water and drop in broccoli florets. Pressure cook them for 3 to 4 whistles. Let it cool. Once the pressure goes off and it cooled completely, blend this mixture in a blender jar to make a smooth paste. Strain the soup using a juice strainer. Pour the cream of broccoli into a thick bottomed vessel. Add salt and black pepper powder to it. Add water or milk to it if it is too thick. Let it boil for 3 to 5 minutes, stirring ocassionally. Keep stirring it, otherwise you will end up in burning it. Enjoy!! hot cream of broccoli or broccoli soup with a roasted bread slice.